As your Honda S2K gets older, the top can start wearing out. 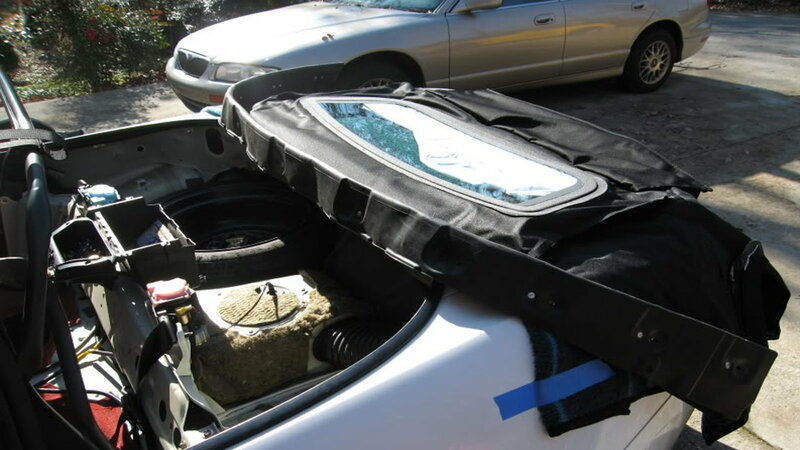 Replacing the top with an OEM one from Honda can cost you upwards of $800, but installing a Robbins top with a rear glass window can save you a lot of money. First off, we want to give huge thanks to S2Ki forum member Cyclon36 for doing the write up one this one. Now let's get down to business on how to tackle a bad top. The best way to remove your old worn top is to cut it off. Use a razor, and cut under the plastic rear window. Remove the old top before removing the hardware that holds it in place. >>Join the new conversation about Replacing Your Convertible Top with a Robbins Top right here in the S2ki Forum! Remove both the driver and passenger seats. There are 12mm bolts on the front of the seats, and 14mm bolts on the rear. 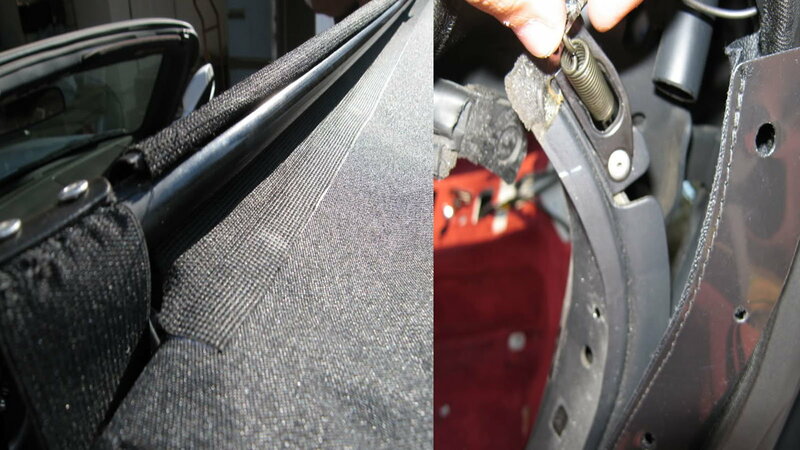 When removing the driver seat, be sure to disconnect the wiring harness from underneath it first. 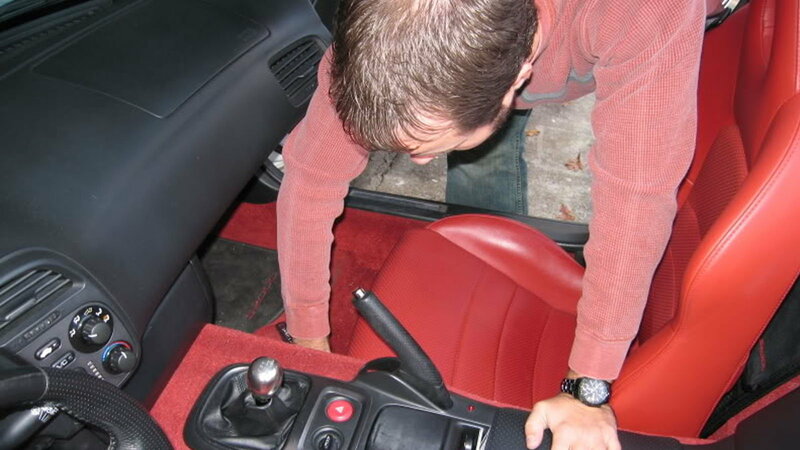 Remove the shift knob by twisting it counter-clockwise. Remove the center console. It is not held in place by any bolts, only clips. 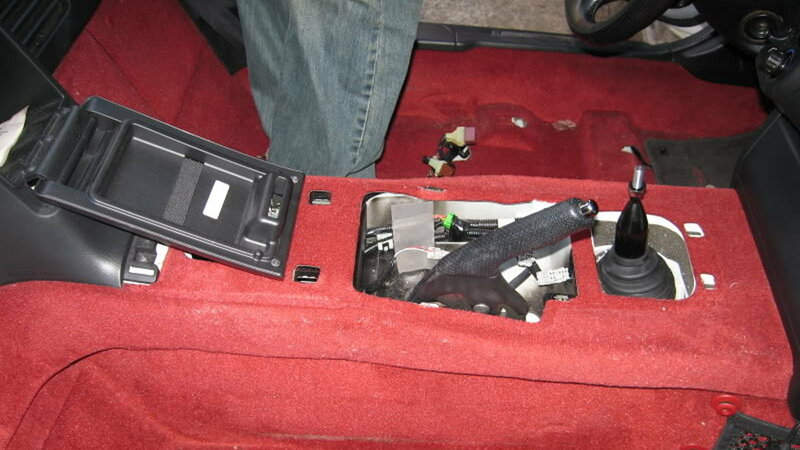 Pull the rear of the center console up until it unsnaps, then gently push it forward to remove it. 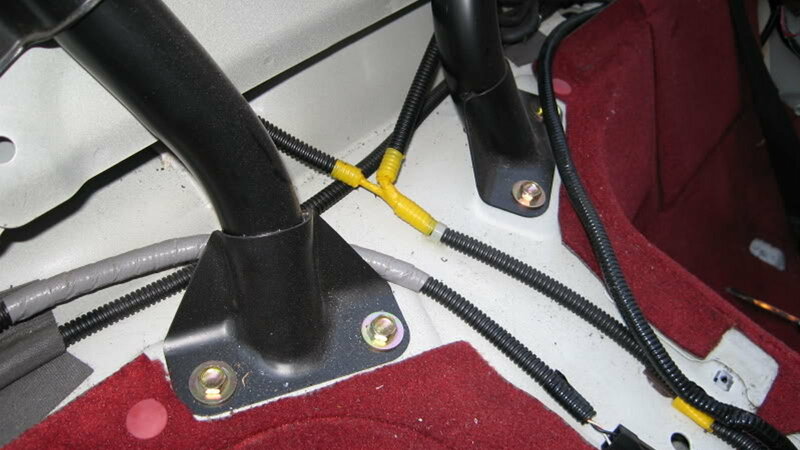 There are two wiring harnesses under it, so unplug them before removing the center console completely. The roof switch is held in place by two screws, remove them and reconnect the switch to its wiring harness, because you'll need to use it during the installation. Remove the two vent panels located under the roll hoops. 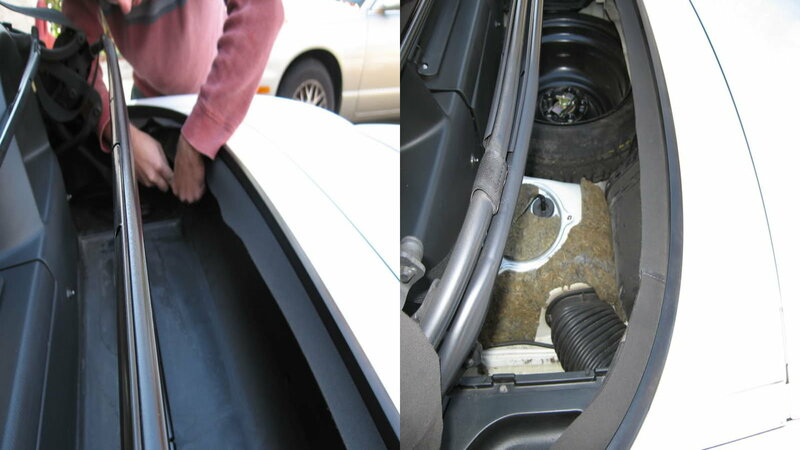 Remove the two covers, then remove the two bolts to remove the panels. 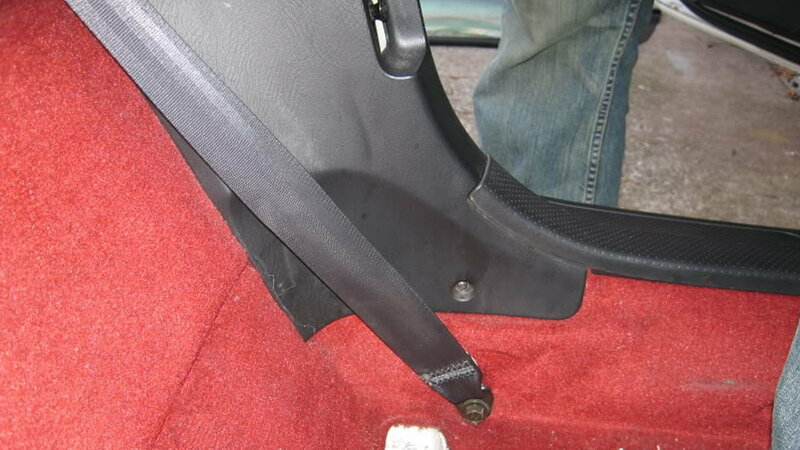 Remove the two door sill moldings on each side. You can remove them by gently pulling them off, as they are held in place by three clips each. 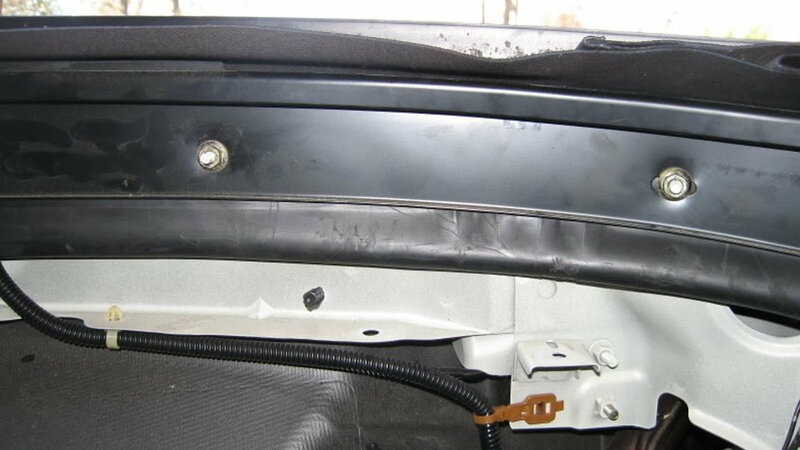 Then remove the rear door jamb trim, which are held in place by one Phillips screw on the bottom, so remove the screw and pull the trim forward. 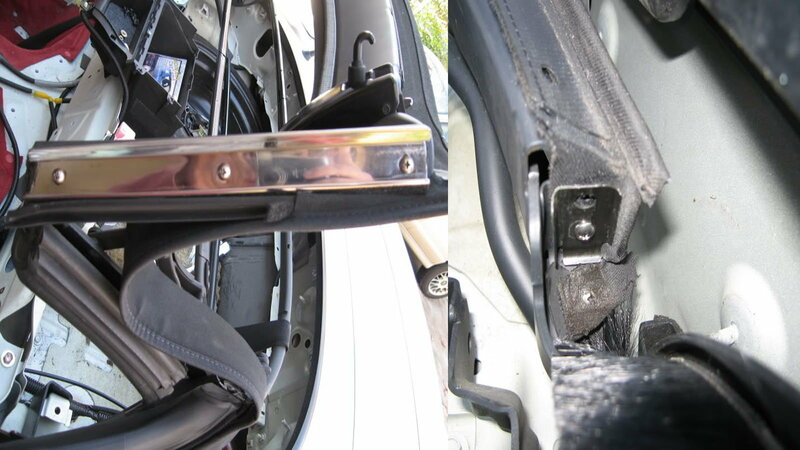 Finally, remove the seat belt bolt on the bottom, and remove the top bolt to remove it completely. 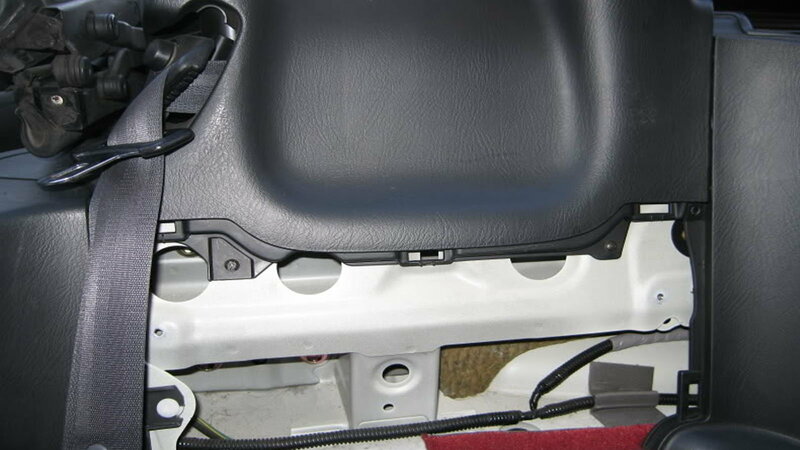 The storage compartment is held in place by four screws on the top of the storage compartment, one on the inside, and two on the bottom of the lower unit. Remove all screws and remove the storage compartment. There are plastic plugs that hold the rear tray in place. Simply push the center of the plugs with a thin screwdriver, and the surrounding will stick out, then pull the whole tab out. Remove the whole tray out of the car. 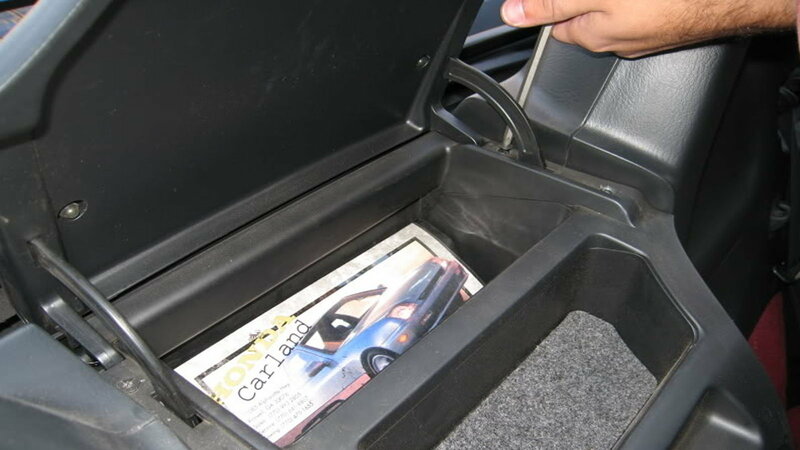 With the rear tray out of the way, remove the center panel on the back of the console storage. 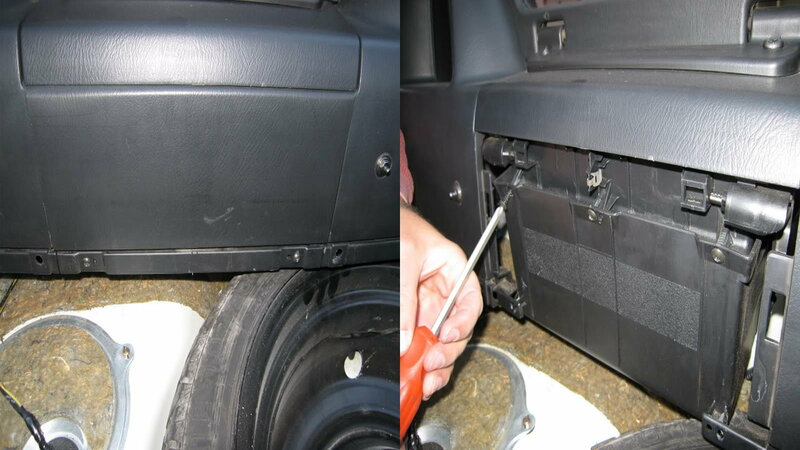 Remove the screws holding the center panel down, then remove the screws securing the storage compartment. Unplug the wiring harnesses behind the center storage, then remove the whole thing. The roll hoops are held in place by four bolts on each side, so remove all eight bolts to remove the roll hoops. Don't try to separate the roll hoops apart, they don't separate, so keep them together to avoid breaking them. 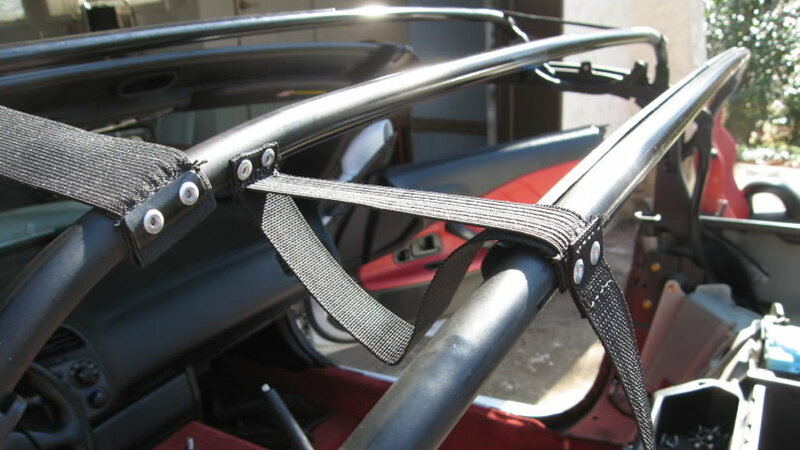 Remove the rear top trim by removing the nuts holding them in place. There are three trim pieces that you need to remove, and make a note of their proper placement. If you need to, close the top halfway so you can have better access to the nuts. Remove the rubber stripping around the trim. Before removing the remaining top material, unscrew the chrome piece around the trim, and remove the plate on the corner of each side. The plates are held in place by one screw each. Once you remove the chrome piece and the corner plates, start removing the rest of the top material. Remove all of the rivets on the rubber water guard, you may need to drill it out, then start installing the rear of the new top to the water guard, then rivet it in place where the old rivets were. If your Robbins kit comes with straps, then rivet the straps to the metal bracket where the old top was held onto. 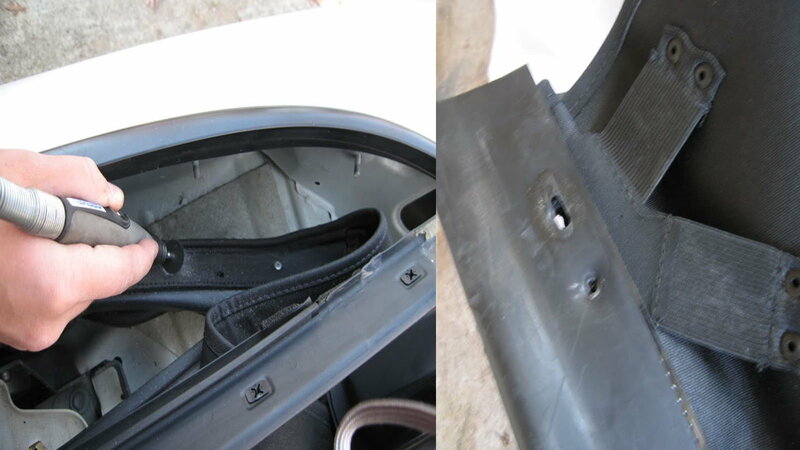 You need to drill out the original rivets and use the existing holes. Follow your instructional manual, and drill all of the straps to the metal bracket as per instructed. 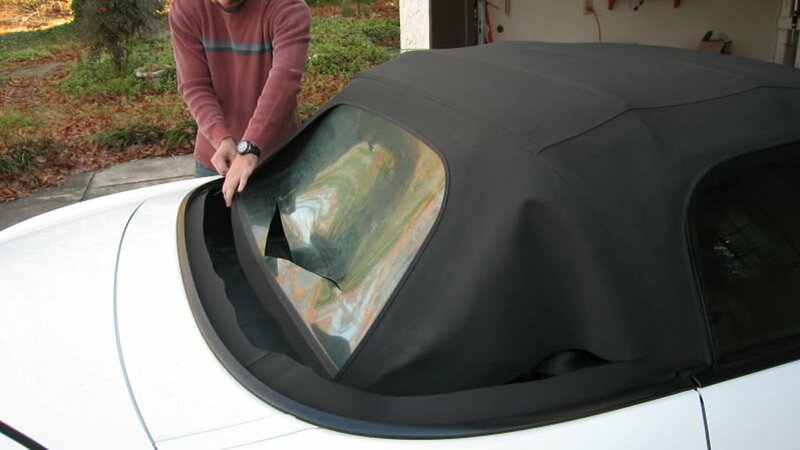 Lay something on the trunk of the car to protect the paint, then lay the new top upside down on the trunk. Pull the top over the metal bracket, and snap the rubber mounting guards in their mounting holes. Open and close the top so you can reach all of the mounting pegs. Tighten the rear top trim nuts, and fold the top of the rails. Follow your instructions closely, as you will need to velcro the top's flaps together over the bar, and under the second one. Attach the spring to the new top, then feed it through the oval opening in the top frame, and install the screw holding it in place. Follow the instructions that came with your Robbins top for final adjustments, then reverse the steps to install all of the trim pieces back.